Going through some teething pains at present trying to load content into/onto the site. Look for our full complement of videos and podcasts soon. With the summer rally season a few months away, we are beginning to turn our thoughts to making some improvements to T-4 to make her more competitive. Updating the new site slowly but surely. Working hard to get media loaded. 9 years is a long time to accumulate stuff! If anyone sees a photo on our site that they took, and it's NOT credited to them(or if you have a problem with the photo being here), simply e-mail me and I'll take care of it! 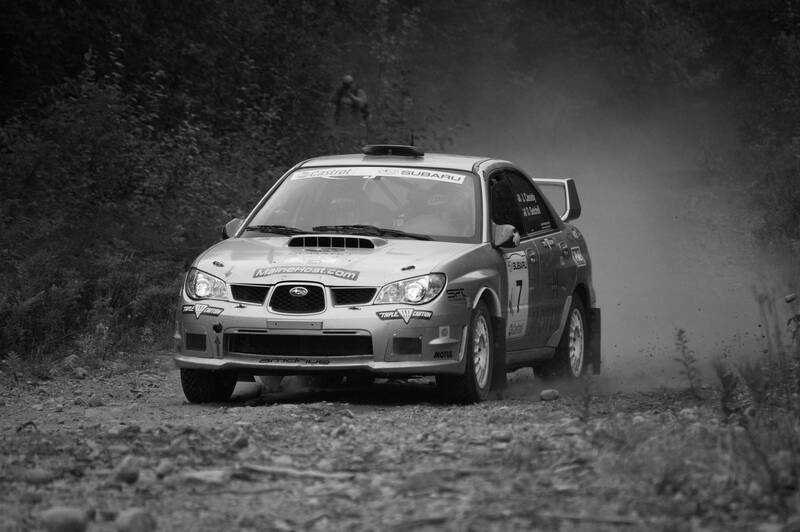 T-4 New England Forest Rally 2007, a little oversteer! T-2 Maine Forest 2005. I don't think we can use that wheel again...or the car! 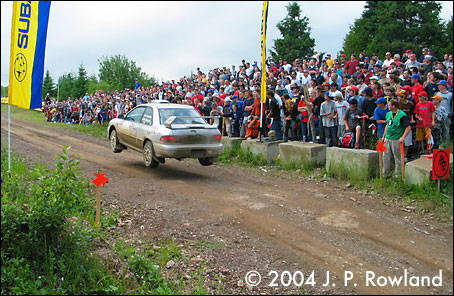 Steph J at Rallye Defi 2007. She showed the men how to wrench! 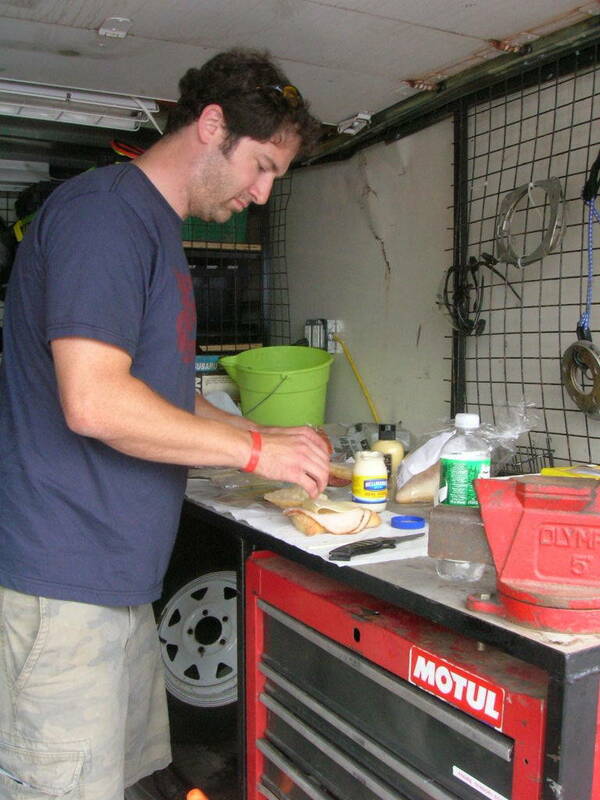 Rally service non-plus. Iain on the cell in the engine room! Ok, everyone asks me-"What happened to T-3?" Well, T-3 never existed in full scale form! My oldest son John bought a remote control Subaru WRX and painted it to look just like our rally car, light pod and all! When I asked him what he had named it, he told me it was Steel Tulip 3! Duh, I should've known. Kids are so quick, and usually right. So, We had T-1, T-2, a tiny T-3, and now a fullsize T-4! She's a 2003 USDM Subaru WRX. We bought it from CT. A young fellow had damaged the transmission and didn't have the resources to fix it. 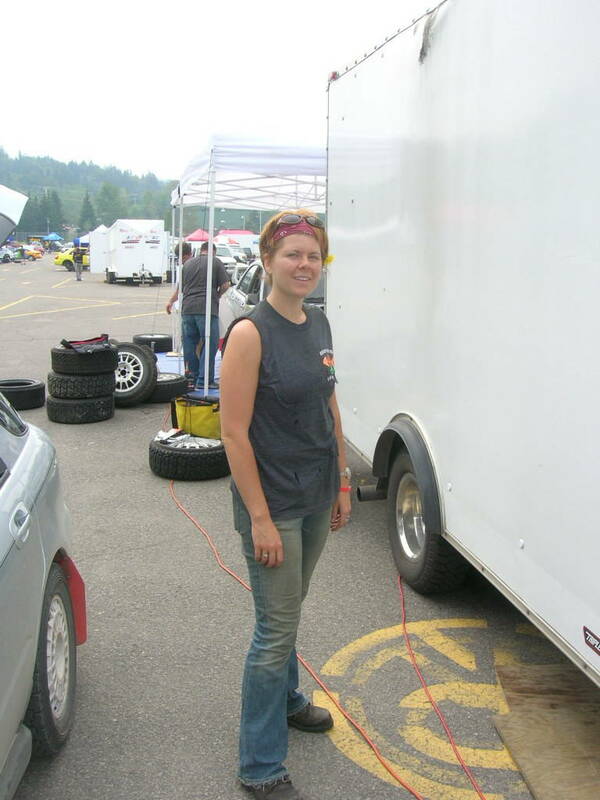 I'll share build/kit details below, but the car was built and fielded in 2006 with Co-Driver Erik Lee in the right seat. 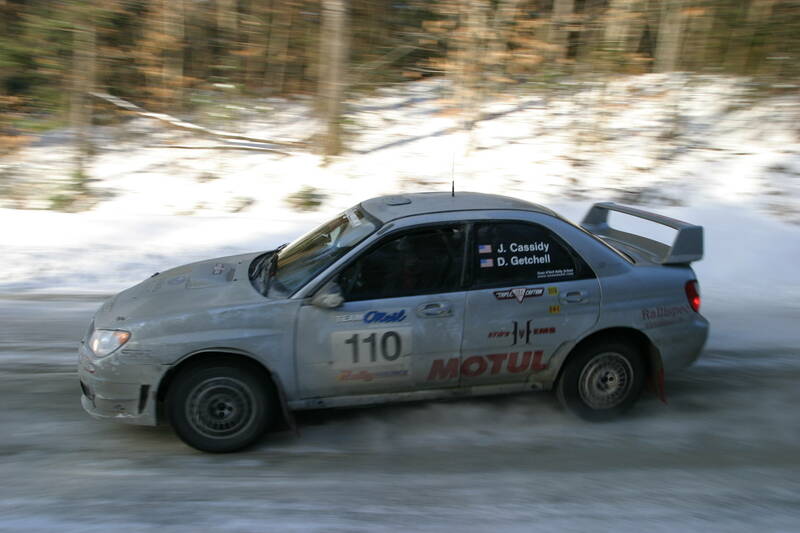 First event was Rallye Perce Neige in Quebec. Nearly 36 hours awake to get her to the start line. Low on power and not nearly developed, we finished in the teens. 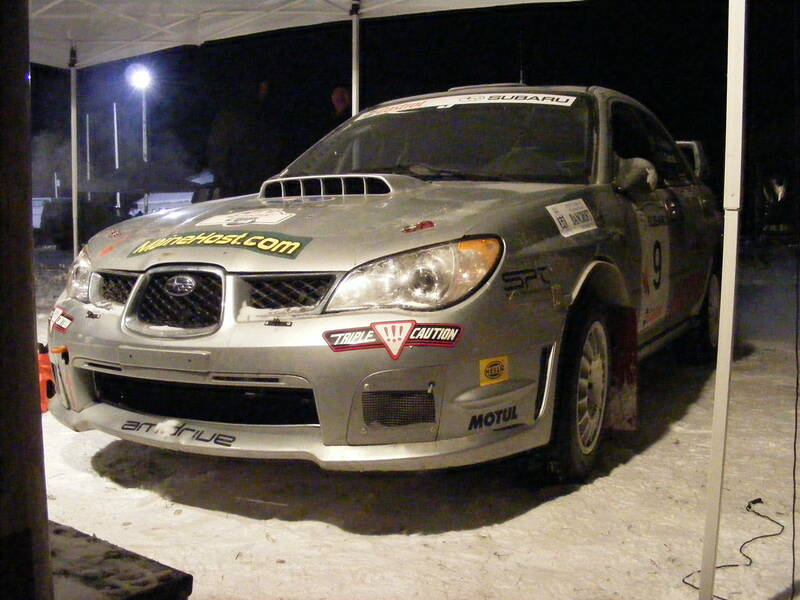 The car then got shipped to Calgary, Alberta Canada for the Rocky Mountain Rally. CanJam ace tech Rich Wong knew something was wrong with the car from the outset. Erik and I ran the first two stages and decided to park it rather than risk damage. A very difficult decision after all that travel. Car was to be transported back to CanJam's shop in Toronto, but was inexplicably mis-placed by the shipping company and ended up shipping a week late and to Montreal instead of Toronto. 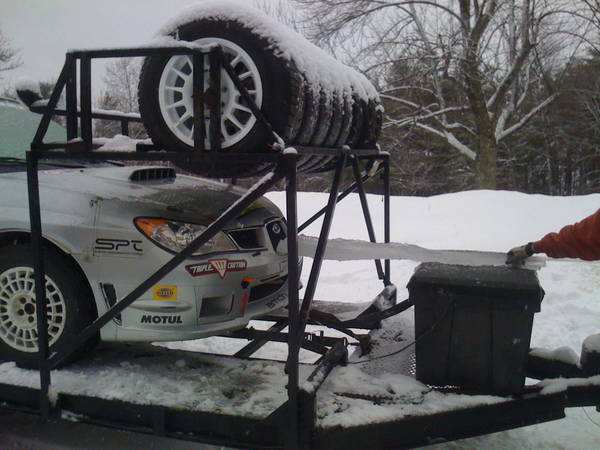 The car was trucked back to Toronto by the shipper, but by then it was too late to make the next round of the Canadian Rally Championship, the Rallye Baie Des Chaleurs. Rich found the problem. The tumbler valves in the intake manifold were stuck partially open, restricting the engine substantially. These were deleted. The car has been continually developed and campaigned since. 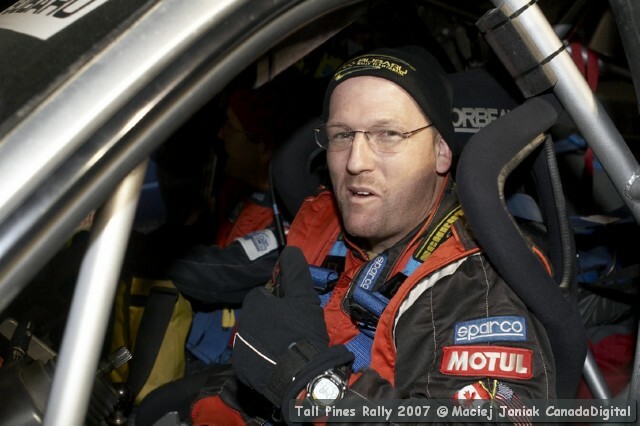 Receiving a new 2007 style nose after a very hard impact with a birch tree at the Team O'Neil Rally in the fall of 2006. LDR Shows Speed at 100 Acre Wood Rally in Missouri! 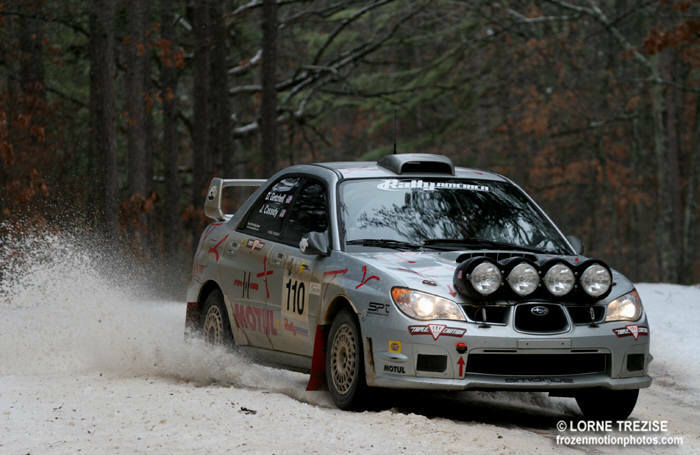 Maine's oldest rally team travelled to Salem, Missouri for the 100 Acre Wood rally, round 2 of the Rally America National Championship. The event consisted of two regional events; Trespasser's Wil Central Region Rally on Friday and the 100 Acre Wood Central Regional Rally on Saturday. 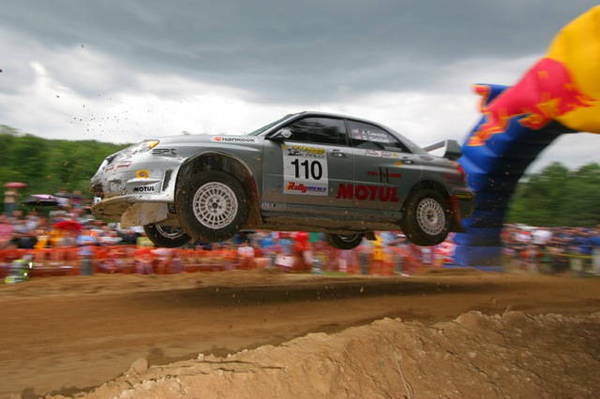 The event was also the host of the Rally America Regional Rally Championship for 2007. 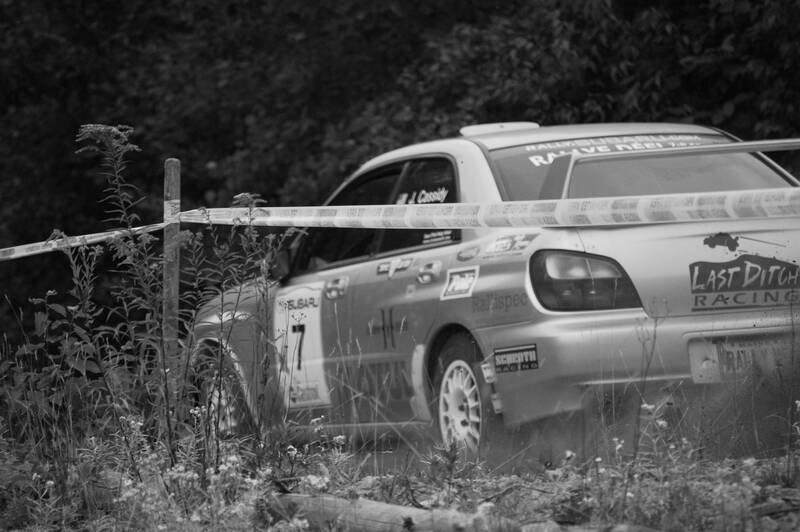 While the event is known for it's fast and flowing gravel roads, it is rarely a dry event. 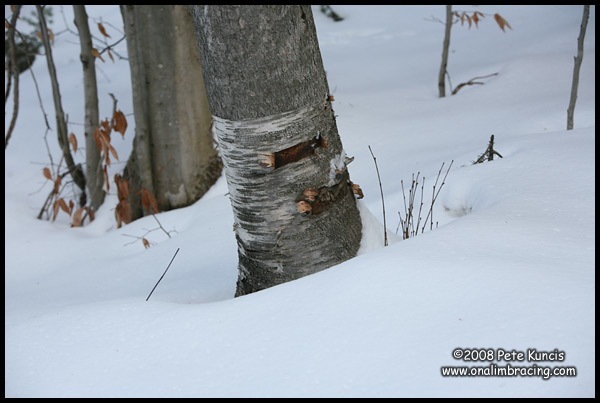 This year was no exception as the Last Ditch Racing team seemed to tow the snow and ice South with them from Maine. The week's forecast called for, "ice pellets," which the team sound found were accurately described. 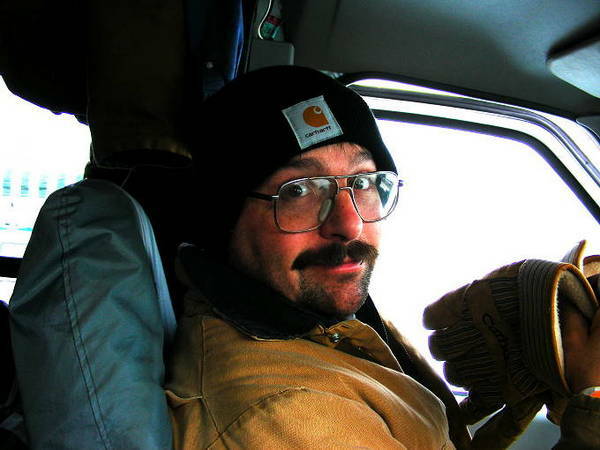 Said driver John Cassidy, "We thought they meant sleet or freezing rain, but they were tiny round balls of ice. Talk about slippery!" 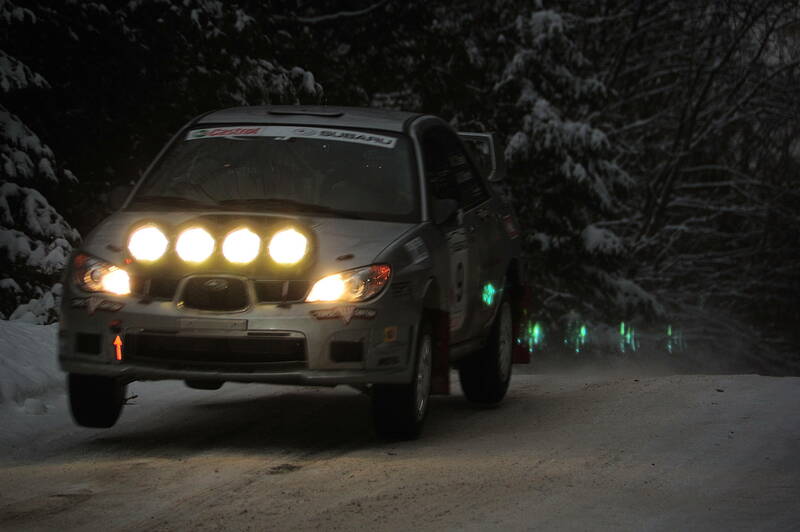 The team had come prepared with snow, ice and cold weather gravel tires. 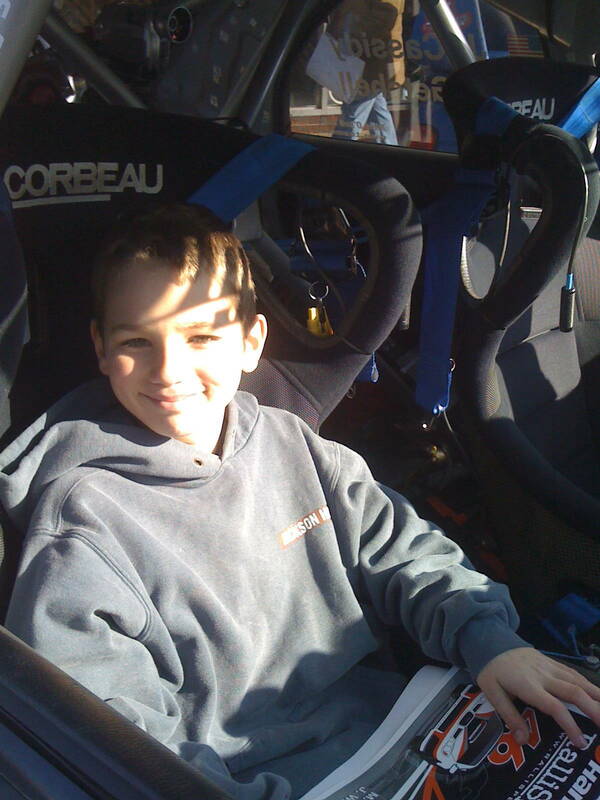 "We've been doing this long enough to know that we could be racing in any weather and on any surface!," said Cassidy. 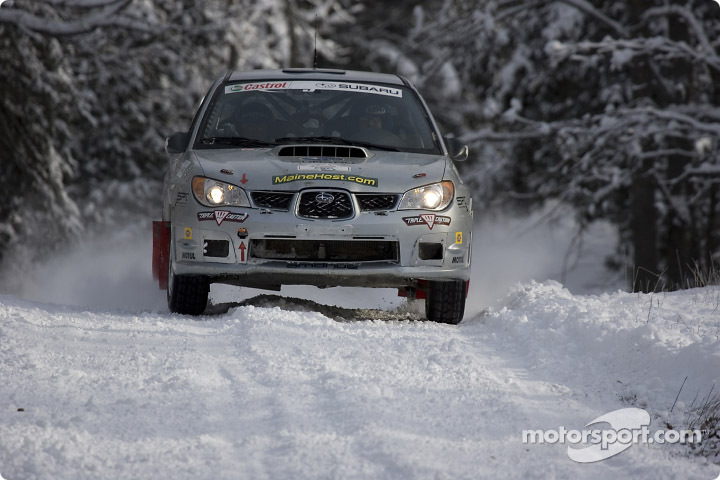 Having won Rally America's Eastern Regional Championship in the Open Class in 2007, the team were anxious to take the show on the road to compete against other Open Class champions from other regions in the US. 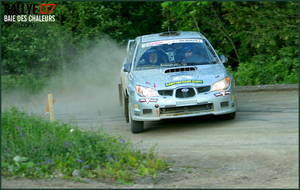 Their main competitors for the event would be Henry and Cindy Krolikowski from Michigan in their Subaru. 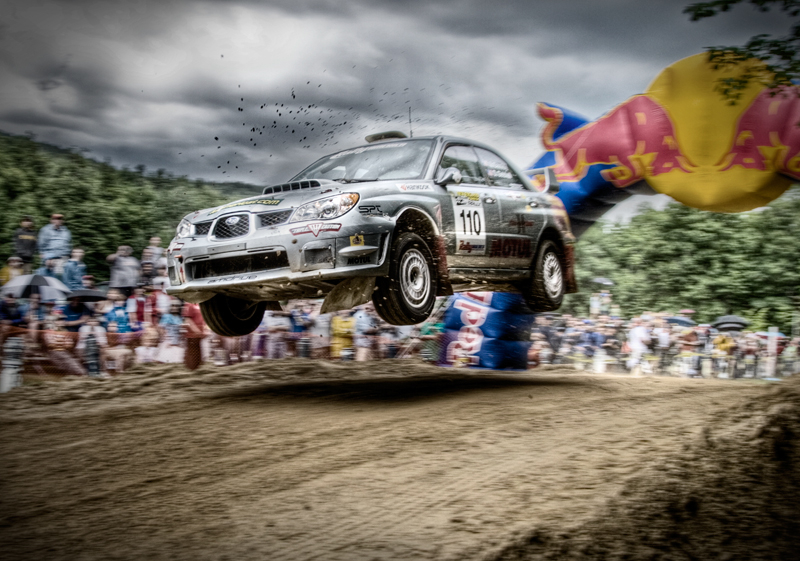 Fridays' four stages saw teams trying to come to grip with, well...the lack of grip. 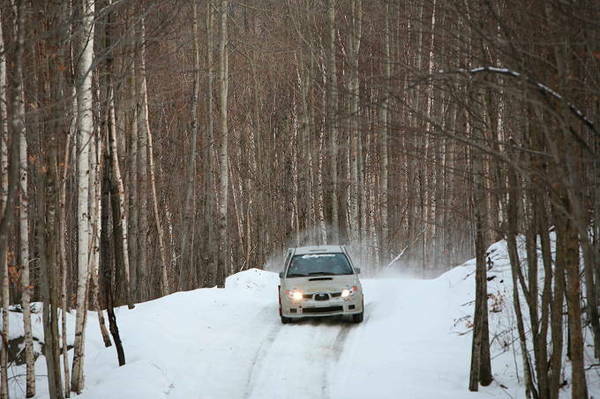 Cassidy and Getchell chose to go out on Yokohama AO-34's rally snow tires. The tires were a good choice for the conditions and helped LDR to a second place overall(in a field of 24) in the Trespassers Wil Central Regional Rally, 33 seconds adrift of the top spot on the podium. The team ended the day about 2:30 minutes ahead of the Krolikowski's. Feeling that the cold weather would most likely cause the existing ice to freeze solid, the team chose to use their Michelin X-Ice tires for the first 4 stages on Saturday. A decision, they came to realize, on the transit out to the morning's stages, was a poor one. 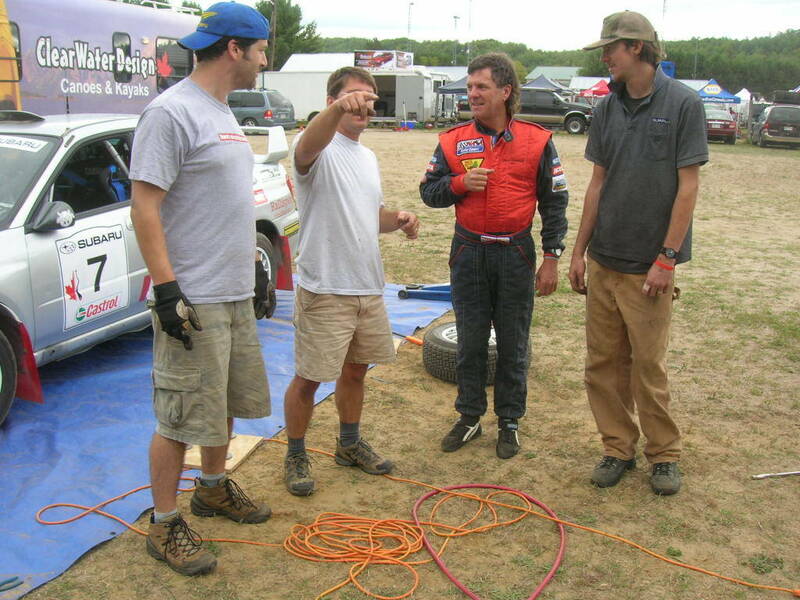 "Dave and I knew going to the stages that we had made the wrong tire choice. My confidence in the tires was low and we were sliding in the slush with very little traction. The X-Ice's excel on ice in cold temperatures, but we really needed the Yokohama's on," said Cassidy. Stage 5, the first stage of Saturday, proved to be the team's undoing. 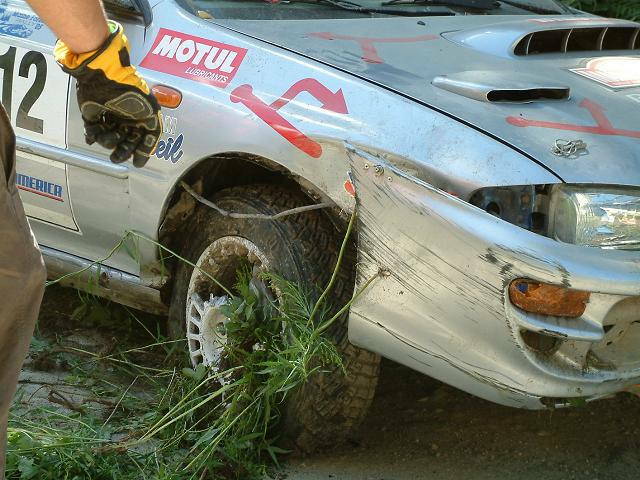 On a left hand turn early in the stage, they struck a rock that was in the racing line. The left front tire was soon going flat. With about 7 miles left in the stage, the crew decided they'd loose less time by simply driving the rest of the stage on the flat. The team dropped about 2 minutes on the stage, finishing well down the order. Stopping on the transit to change the flat, they found the jack not working! 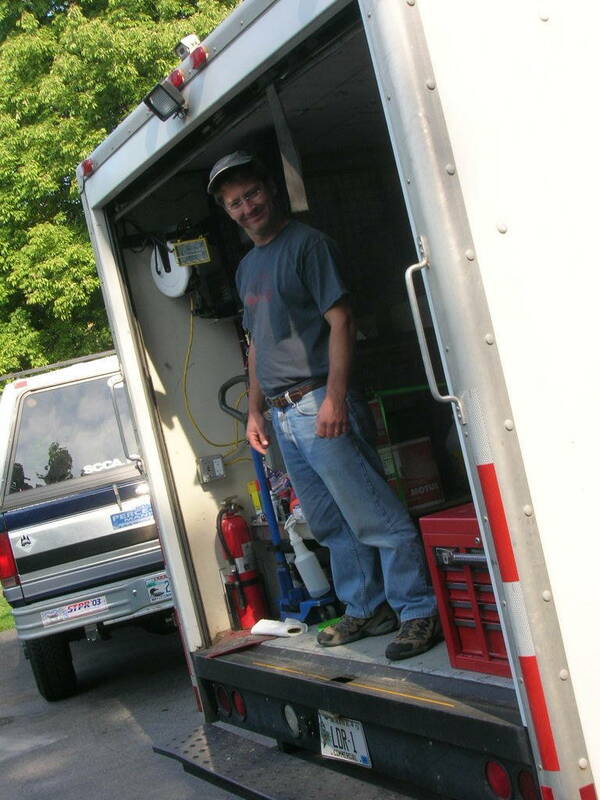 Borrowing an operational jack, they got the spare mounted, but were now late on the transit. With a non-functioning speedometer/odometer due to an electrical glitch, they drew a speeding penalty, being clocked 25mph in a 15mph zone. "To say it wasn't our morning was an understatment," said Cassidy. "We handily turned a 2:30 advantage into a similar deficit within the span of 4 stages." Not a team to go gently down the order, they managed through the remaining 3 stages of the morning without another flat. The service crew refitted the Yokohama tires and away the team went, eager to prove a point. Said Cassidy, "I knew that our deficit was more than likely too large to make up, but that didn't mean we wouldn't try! 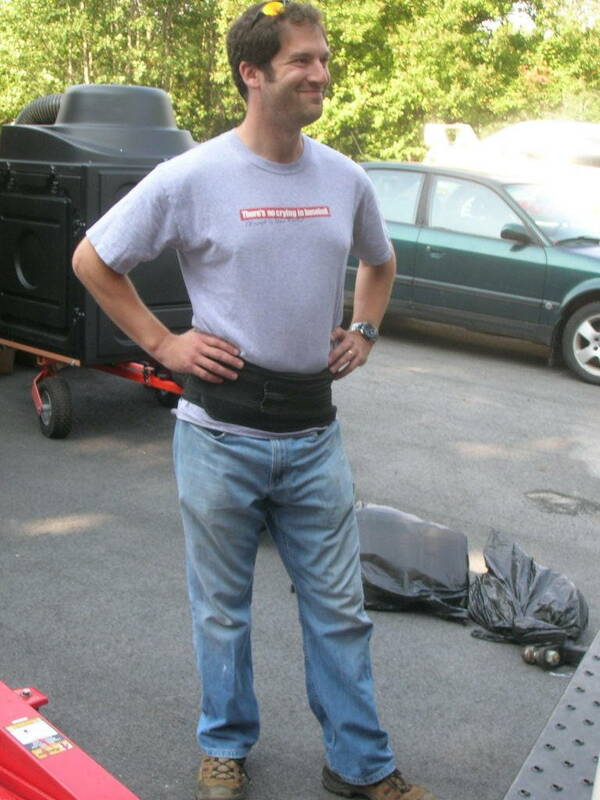 We have a reputation for going faster as events progress, and Dave and I were a bit cranky at our situation and wanted to prove a point." Prove a point they did. 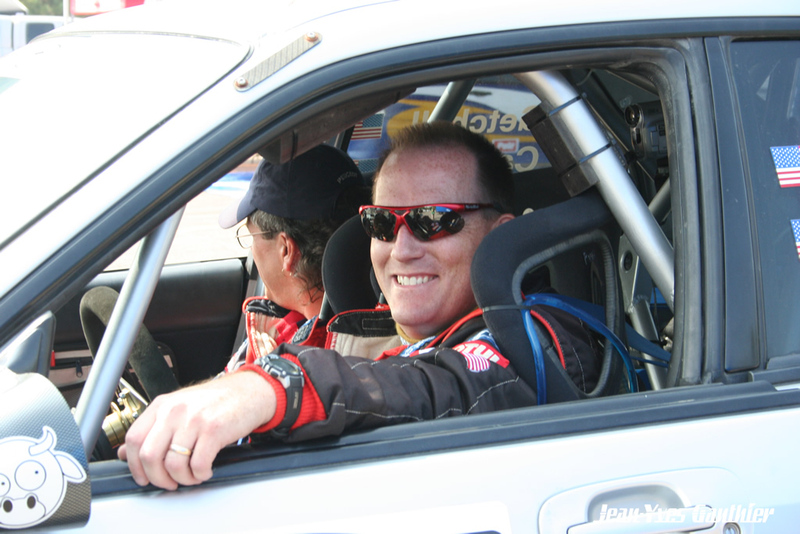 Cassidy and Getchell won 5 of the remaining 6 stages outright among the 21 regional competitors. 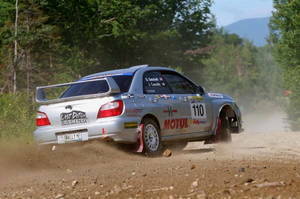 Their pace garnered three top 10 overall stage times among both the national and regional competitors. The team finished the 100 Acre Wood Central Regional Rally in seventh place overall, with the Krolikowski's taking the win. 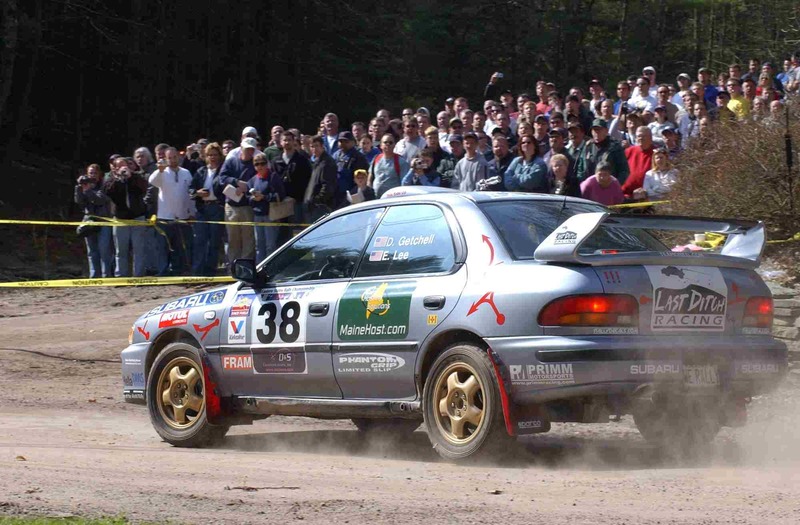 In the 2007 Regional Rally Championship portion of the event, Last Ditch Racing took 3rd overall. The Krolikowski's took first and fellow Mainer Chris Duplessis took 2nd. 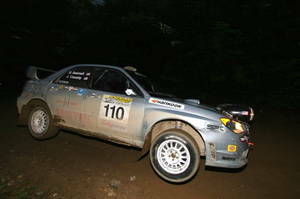 Without the road penalties, the LDR crew would have taken the win in the Regional Rally Championship, having won an impressive 9/14 stages outright among the 2007 Regional Rally Championship contenders. 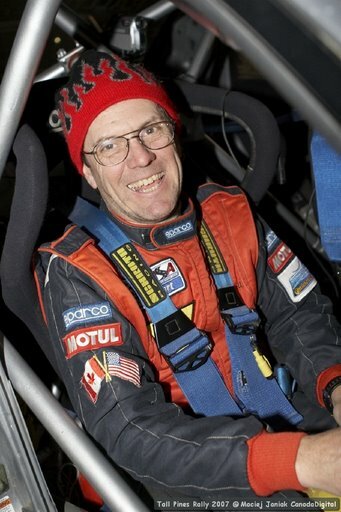 "Dave and I did our best and put in some of our best stages to date and we were very pleased that we were able to go quickly in such challenging conditions. 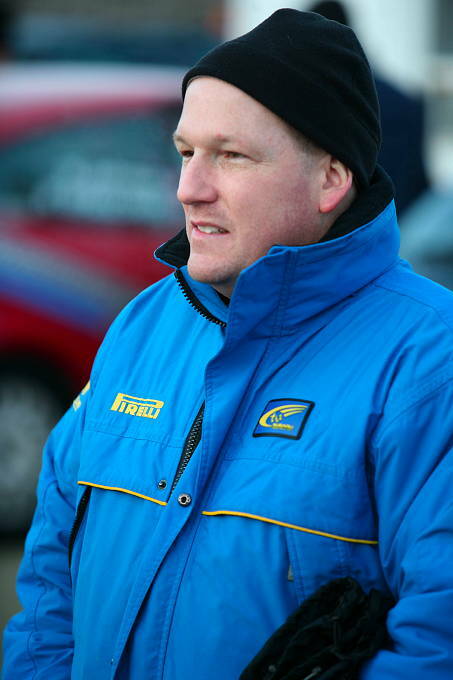 We're hoping to find more speed as the 2008 season progresses," said Cassidy. 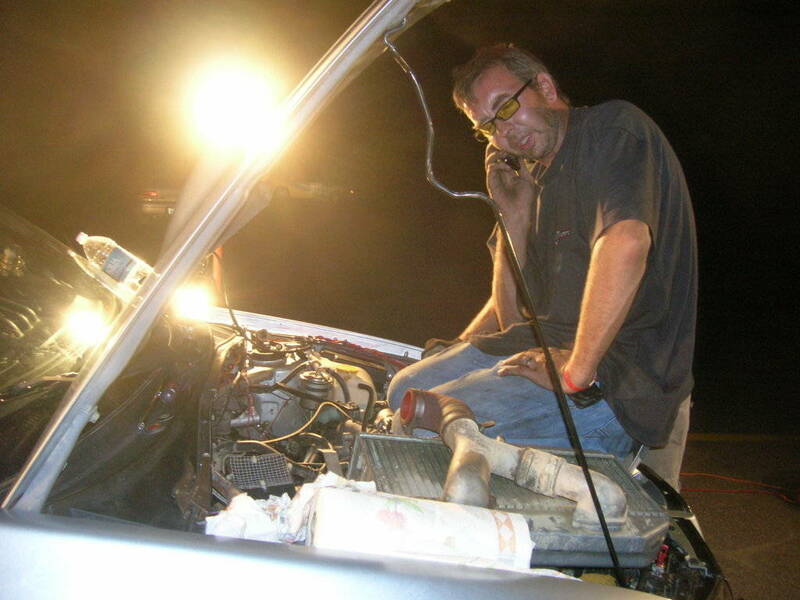 Last Ditch Racing would like to thank crew members Drew Simpson and Eric Wages for their help at the event.